Infrastructure lender IL&FS has helped trigger market mayhem, prompting regulators to step in to try to calm investors. The boss of India’s largest bank says this isn’t a “Lehman moment”. Maybe, but the amount of bad debt and short-term funding are worrisome. 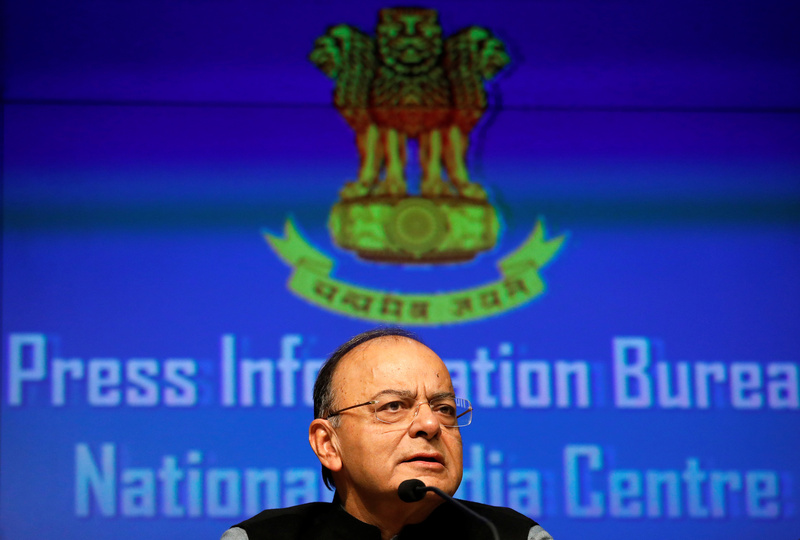 India's Finance Minister Arun Jaitley attends a news conference sharing details about the recapitalisation of public sector banks in New Delhi, India, January 24, 2018. Indian Finance Minister Arun Jaitley said on Sept. 24 that the government will take “all measures to ensure that adequate liquidity” is provided to non-bank financial companies. He is due to chair an annual review meeting with state-run bank bosses on Sept. 25. Fears over the health of non-bank lenders were triggered on Sept. 21 after Infrastructure Leasing & Financial Services said it was not able to service obligations on interest payments. Other non-bank lenders including Dewan Housing Finance dragged the market lower and key stock indices fell over 3 percent in intraday trade that day. Both the broad NSE and the benchmark BSE index posted their biggest weekly falls since August 2017. Market volatility prompted the Reserve Bank of India to say on Sept. 23 that both the central bank and the market regulator were closely monitoring developments, and would take appropriate steps if needed. State Bank of India, the country’s largest bank, also issued a statement, denying that banks were afraid of lending to non-bank financial companies. Shares in private sector lender Yes Bank fell nearly a third on Sept. 21, after the RBI said Chief Executive Rana Kapoor can only remain in place until Jan. 31, after shareholders had voted in June to extend his term.